Hosts Darren McCaffrey and Méabh McMahon were joined by Dutch MEP Marietje Schaake and British MEP Jonathan Bullock on Wednesday evening for the latest episode of Your Call. The call-in show sees viewers from across Europe phone and Skype in to have their say on the issues directly affecting them at home. 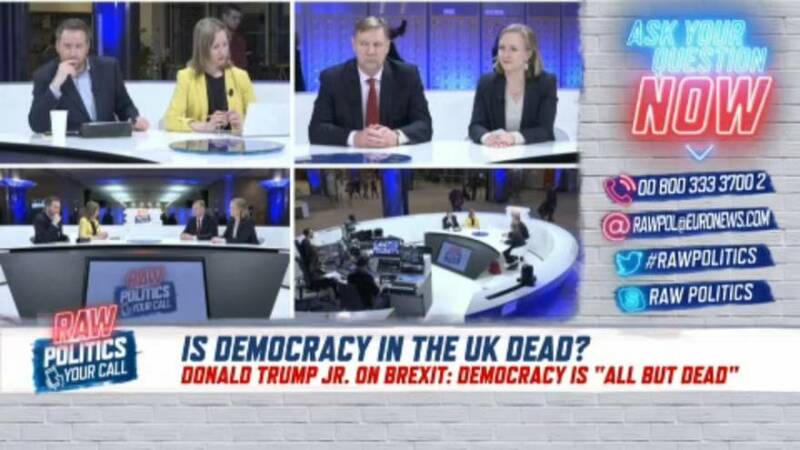 Viewers and panellists on Wednesday evening discussed the state of democracy in the UK and Hungarian Prime Minister Viktor Orban. Following the UK's vote last week to extend Article 50, UK Prime Minister Theresa May on Wednesday asked the EU for a Brexit delay. The EU has indicated it will back the extension — pending the approval of 27 member states — but only on the condition that British MPs approve of May's withdrawal deal. Donald Trump Jr, son of US President Donald Trump, on Tuesday said in an op-ed that democracy is "all but dead" due to the vote to extend the Article 50 deadline. So we asked you: do you think that democracy is dead in the UK? Hungary's ruling Fidesz party was suspended from the European People's Party — the centre-right group in the European Parliament. The suspension came following anti-EU and anti-immigrant rhetoric from Hungarian Prime Minister Viktor Orban and his party. We wanted to know: are you on the side of Hungary or of the EU? Watch the full episode in the video player above.